Are you worried about the safety and security of your home, vehicle, or place of business? Let Seattle Locksmith handle all your rekey needs. Many of our customers call us with the misconception that their locks need to be replaced. We are here to tell you that may not be the case! When you call us, one of our locksmiths will hear you out and assess the situation. In most instances we can save you a lot of time and a lot of money, and simply rekey your lock. With Seattle Locksmith’s Rekey services, you get the same security and peace of mind as with a totally replaced lock, but for a much lower price. You may ask, what does “rekey” mean? It is essentially a process in which the configuration of a lock is changed, in order to be opened by a newly made key, rendering any old keys useless. 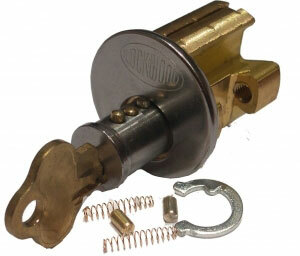 This is done by changing the internal structure of the lock. To put it simply, it is the cheaper, simpler alternative to changing your locks. 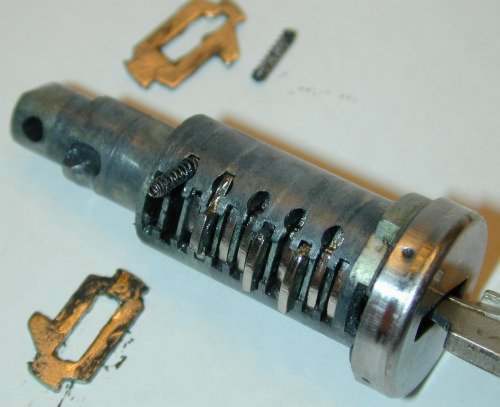 Most commonly, a rekey is done when the security of the original lock has been compromised due to loss, theft, or if there is fear of an unauthorized person gaining access to the original key. The process of rekeying a lock is a fairly simple one. When you call Seattle Locksmith to rekey your locks, you will see just how quickly we can change the pins in your lock and provide you with a brand new key to fit it. Here at Seattle Locksmith, our technicians are highly trained, not only in the business if locksmithing, but in the equally important business of customer service. Seattle Locksmith, and all of our staff, are committed to handling your needs with speed, efficiency, discretion, and to your satisfaction. Have your keys been lost or stolen? Are you worried for the safety of your home, business, or automotive? Or do you simply need to keep someone out, but do not wish to invest in a whole new set of locks? Let Seattle Locksmith take care of you. We can rekey any lock, and return to you your peace of mind. All you have to do is pick up the phone and call (800) 000-0000, let us know when the most convenient time for you is, and we will have you on your way, with new, original keys in hand, in no time at all. We can also provide you with duplicate keys for your home, business, or automobile. Our fully mobile service is available 24 hours a day, 7 days a week, and your convenience is our goal. Nights, weekends, rain or shine; you call, we will be there. Please also keep in mind that Seattle Locksmith is proud to be a local company. We are a second generation business, and pride ourselves in our loyalty to our customers. When you deal with Seattle Locksmith, you deal with real people, invested in your safety, security, and satisfaction. The person on the other end of the line will not be hundreds, or even thousands of miles away. Unlike with most other locksmith companies, with Seattle Locksmith, the person answering your call will be right here in Seattle, and ready for action. We employ only the most highly qualified technicians, and there are no call centers or third party locksmiths involved. We appreciate the opportunity of doing business with you, and hope that you choose Seattle Locksmith for all of your locksmith service needs. Rekeying was first done in the 1830’s by a New Jersey Locksmith named Solomon Andrews. His invention was later used as a basis for our everyday, commonly used combination locks. Since then, lock rekeying has become more modern, and is a great way to stay safe and secure, while saving money, especially when you use the affordable services of Seattle Locksmith. Call Seattle Locksmith today and begin saving money by receiving a free estimate.